VoiceOver PRO, Pathology Reporting Optimized, is the game changing reporting solution from Voicebrook, makers of the ONLY speech-based reporting solutions built specifically for Pathology. Lake Success, NY, May 16, 2018 --(PR.com)-- Voicebrook is announcing the release of its innovative new software platform: VoiceOver PRO, Pathology Reporting Optimized. VoiceOver PRO is the fastest, easiest to use and most accurate way to create Pathology reports. PRO’s Report Builder® offers gross and microscopic templates with smart behaviors that maximize efficiency along with synoptic reporting and structured data collection tools. The solution also features the PRO Assistant®, the only intelligent reporting tool designed to aid Pathologists in accurately reporting the correct diagnosis and its supporting information. As with previous Voicebrook product offerings, PRO provides flexible dictation options such as downtime reporting and digital recording for front-end capture and third-party editing. Unlike other speech recognition software, PRO's Report Builder component displays the entire report (gross description, diagnosis, even CAP content) all in one window, eliminating the need to toggle between screens. Customizable templates allow users to speed through the reporting process with discrete data fields that auto-advance to avoid unnecessary commands. PRO Report Builder also contains tools for synoptic reporting and structured data capture, minimizing pathologist effort while maximizing usefulness of the information collected. Clinton McCann, a Pathologist Assistant and early PRO adopter, recently set a personal record for the number of blocks grossed in a day without having to stay late. “I was already a proficient VoiceOver® user," said McCann, "but this has been a game-changer." 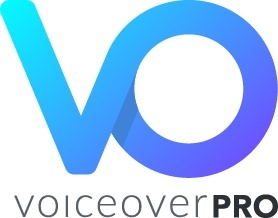 VoiceOver PRO also features the revolutionary PRO Assistant which works in the background to optimize accuracy, efficiency and peace of mind, allowing the user to focus on the report content while the PRO Assistant takes care of the rest. The PRO Assistant features smart behaviors such as automatic part placement and automatic formatting, and even inserts relevant data from the gross description into the microscopic section, eliminating redundant dictation. With field validation, automatic calculation and the ability to show reference material in the Report Builder window, the PRO Assistant allows users to easily create patient reports while ensuring accuracy and patient safety. "When creating this new product, we challenged ourselves to find harmony between two otherwise competing goals: creating the most efficient and accurate reporting solution for Pathology and delivering a user experience that guarantees ease of use and peace of mind,” said E. Ross Weinstein, CEO at Voicebrook. “We recognized that when we ask Pathologists to embrace new technologies, it is our responsibility to provide a solution that transcends the benefits of their current reporting process while maintaining the aspects that they rely upon in their current solution. The VoiceOver PRO Assistant doesn’t just convert spoken word into written text in a report, it also provides users with a level of security that they had when a transcriptionist was there to proofread their work. We are really excited to begin showcasing this unprecedented capability to our 550 existing customers and the rest of the Pathology community." With VoiceOver PRO, Pathology labs will optimize accuracy, optimize efficiency and optimize peace of mind for their team. To learn more and to see PRO in action, visit www.voicebrook.com/pro. Voicebrook was founded in 2002 by Pathology and Speech Recognition industry veterans and is based in Long Island, New York. With over 550 sites across the US, Canada, and Australia, Voicebrook is the leading provider of speech recognition and reporting solutions for Pathology. VoiceOver software is the ONLY speech recognition-based reporting solution tailored to Pathology. VoiceOver integrates directly with all major Anatomic Pathology systems and expands upon core Dragon® Medical functionality to ensure the highest levels of success with speech recognition in any laboratory environment, empowering Pathologists to save time, save money and save lives.